My Mid-Life Motherhood: 31 Days of Repetitive Parenting: Day 16 "No one ever thanks their Mom for letting them quit piano." 31 Days of Repetitive Parenting: Day 16 "No one ever thanks their Mom for letting them quit piano." As I mentioned before, we have invested a lot of time and money into music for our children. We began our older two in Suzuki piano at the ripe old ages of 4 and 6. 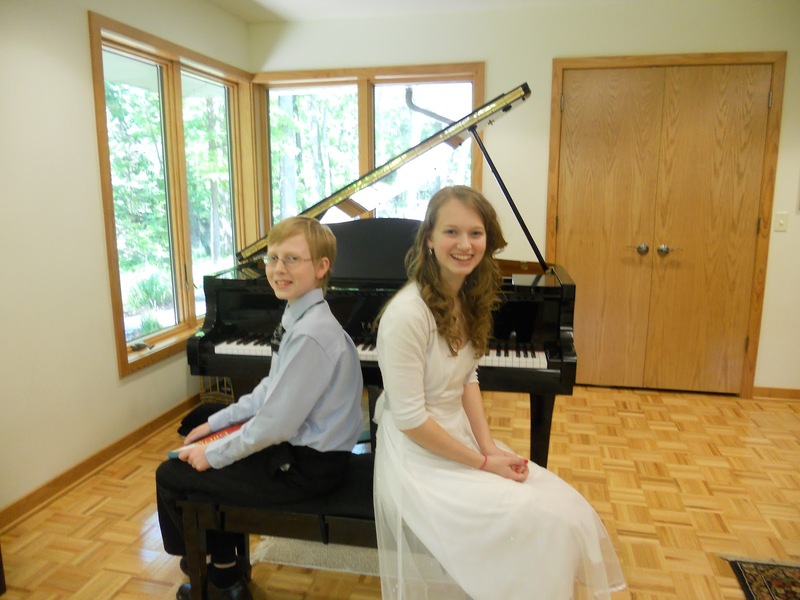 They were certainly adorable to watch playing Mary Had A Little Lamb or London Bridge at their recitals. Within a few years they were able to play at my level of six years of traditional lessons and I enjoyed practicing with them. After a few more years they were light years ahead of me and only laughed at my attempts to sit in as a practice duet partner. Now, I just enjoy the music and stay out of their way. 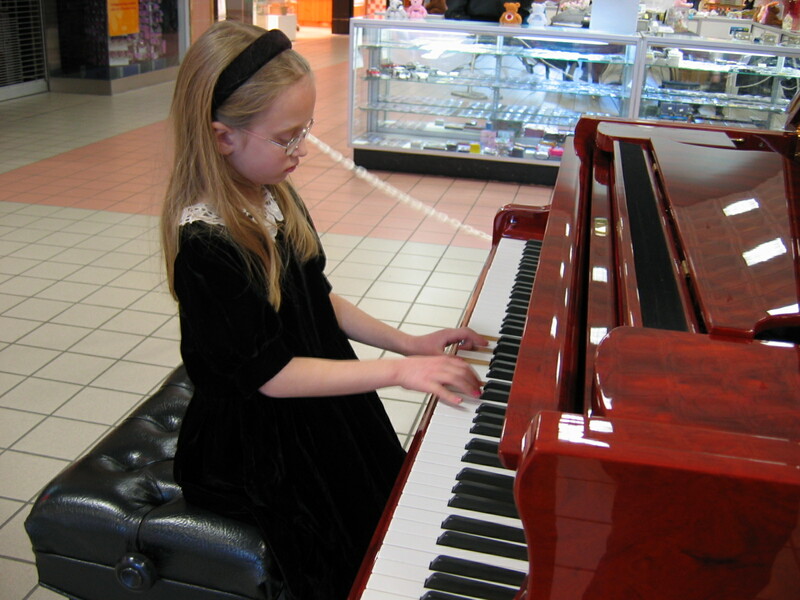 Playing at an annual fundraiser at local mall in 2004. It is refreshing to have finally gotten to the point where they want to play piano. Frankly, it took years to get there and was quite the uphill battle along the way. Toward the end of elementary school and throughout the junior high years, you would have thought I was torturing them when asking them to practice. Probably on a daily basis, they would beg me to let them quit piano. My response has been and always will be, "No one has ever come back to their Mom and thanked her for letting them quit piano. Instead, once they get into their twenties they regret having quit. Then they come back to their mother and complain, 'Why did you let me quit piano? I wish I could play piano.' As long as we can afford it, you will continue taking piano, because I don't want to be 'that Mom.'" That made for a rather lengthy post title, so I shortened it, but the lecture is the same every time! Despite my sentiments, they continued to ask to quit piano for years. Even after Bud promised repeatedly that he would NEVER complain to me about letting him quit, I did not relent. Primarily, because I have never met a single person who did not regret quitting piano when they were in junior high. I quit and I regret it. As I said, the junior high years were particularly tough, but we stuck to it. We did make adjustments to help get them through those difficult years by sharing lessons, so they went every other week instead of every week. This helped immensely! We also realized that our kids are not musical prodigies, nor are they destined to become renowned pianists. Understanding this, we have encouraged them to continue in music because of the benefits to themselves and others. We also have not made it a number one priority, much to the chagrin of the music teacher. Rather, we treat it as one of their academic classes - practice is homework. Sometimes it takes a back seat to more important homework or family activities and that's okay. Music is amazing in its educational benefits and brain stimulation. I truly believe that my children's exposure to classical music from a very early age has been quite influential in their academic achievements. The impact of music, plus the smart genes they inherited from Hubby, have enabled them to excel significantly, especially in math. I am thankful that we continued to send them to piano lessons despite their mutinous attitudes. If we had given in to their cries of piano persecution, we would have missed out on a multitude of blessings. The thrill of watching them perform pieces I can only dream of playing. The joy of listening to beautiful music while they practice. The surprise of hearing a piece of music, inquiring about it only to discover it was their composition! The pride while watching them both take on a new instrument in order to be able to participate in the school band...without my coercion. The gratitude while hearing them minister to others with their music at nursing homes, in church and at my Aunt's funeral. The amazement I feel at their various recitals that they can memorize and perform all those difficult classical pieces so beautifully. The love of music that Cupcake has developed just by watching and listening to them play. Now that both of my teens are in high school and have been playing piano for a decade, they have finally come to own it. No longer do they take lessons because they are forced to, they do so because they want to continue to be able to play skillfully. In fact, each one has expressed interest in pursuing music in college. Just recently they thanked me for not letting them quit. I never anticipated that I would hear that until they were in their twenties! I'm glad I didn't have to wait that long to be rewarded for my resolve. One of the greatest moments for me came this past year and was indeed the turning point for my son. It was this particular event that proved to me that he too had finally taken ownership of his music. One afternoon, I happened to pass by Bud while he was at the piano. I asked what he was doing and he responded, "Composing." As I was not aware of any upcoming composition competition or recital, I asked, "What for?" He smiled and said, "For fun!" That was music to my ears...pun intended! As Cupcake begins her piano lessons next year, I anticipate that in a few years I'll have to dust off this phrase to get her through those rebellious junior high years. 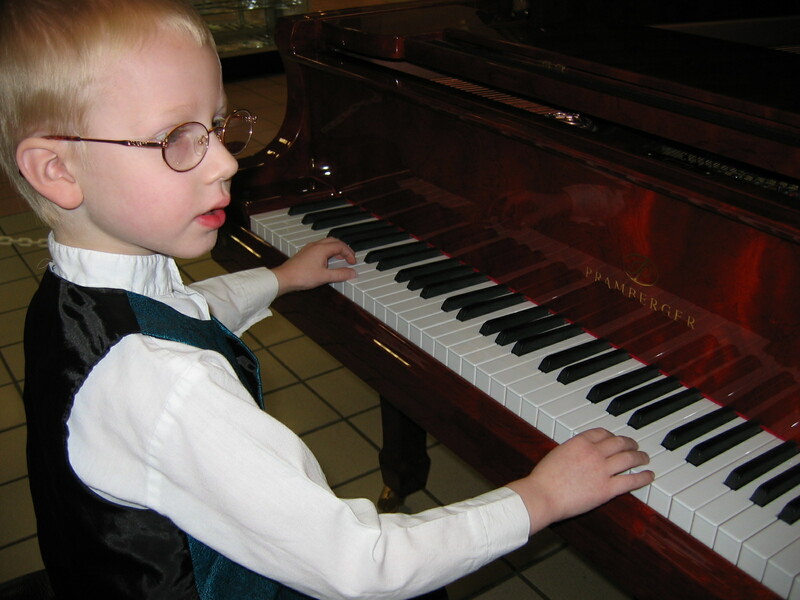 But now I know for sure that it is worth repeating, "No one has ever thanked their Mom for letting them quit piano."